You can manage the sign up process from your Backoffice. None removes the sign up tab from the page. 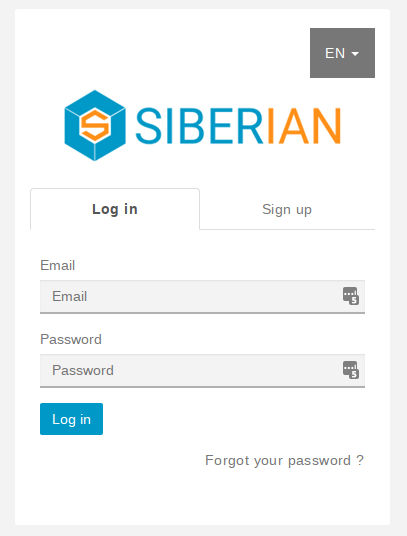 You will have to create your users account manually or using the Siberian API. Note: The Sign-up tab is only displayed on your Main Platform login page, there is no sign up tab on the White labels of your Platform.